A four storey red brick building designed by Building Design Partnership in 1981. 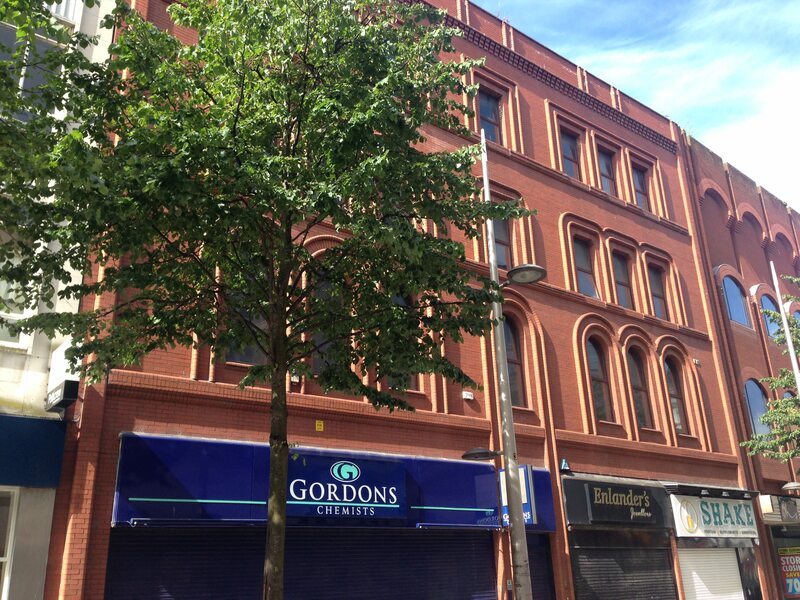 Nos.15-17 was previously a four storey building designed by Thomas Jackson & Son for Mr Andrew Munce. 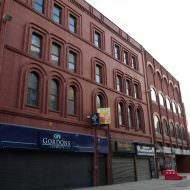 The building was built 1880 – 1881 by William McCammond. 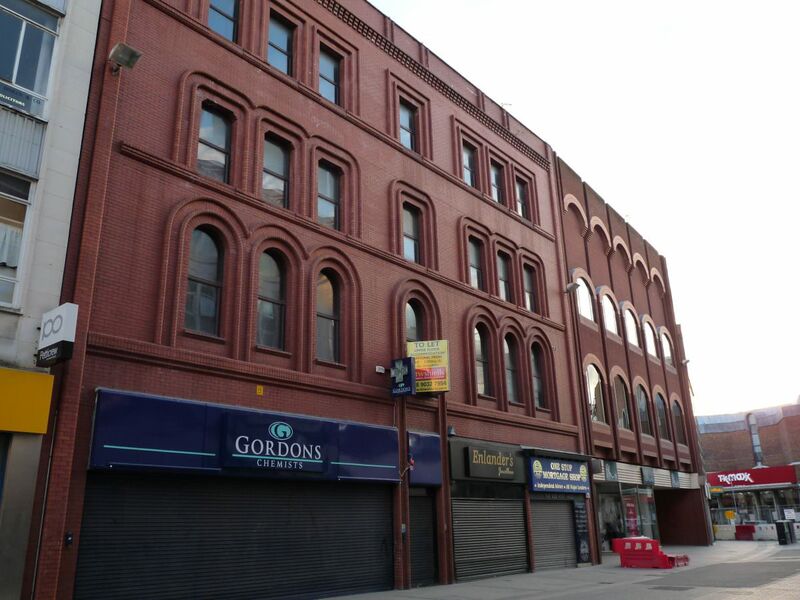 On completion in October 1881 the ground floor was occupied by Mr Munce’s poultry shop and Mr Laird’s hat shop. Nos.11-13 was previously a three storey building with later fourth floor extension c.1869. Building demolished c1980. 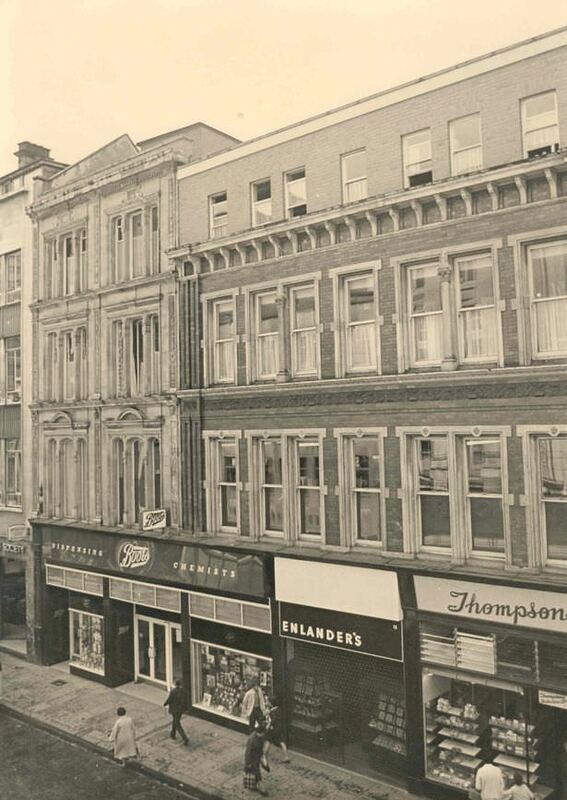 Boots Chemist opened its first NI store at nos.15-17 Cornmarket in 1966. 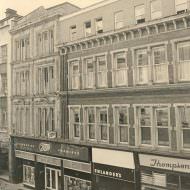 The store relocated to 35 – 47 Donegall Place in 1975. Building demolished c1980. The grond floor unit at nos.15-17 was occupied by Argos from 1988 until relocating to Ross’s Court in 1998. 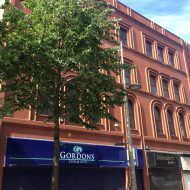 Gordon Chemist took over the unit in 2000 and continues to trade. The ground floor unit (350ft2) at no.11 Cornmarket was placed on the market by DTZ in 2015 with offers invited in the region of £350,000.